Get together with Mom for a fun afternoon of Art. 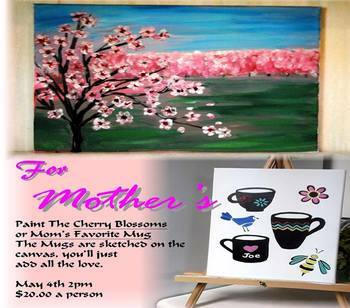 Mom's mug's are already sketched out on the canvas just have fun and paint. Or you may choose to paint Cherry Blossoms.